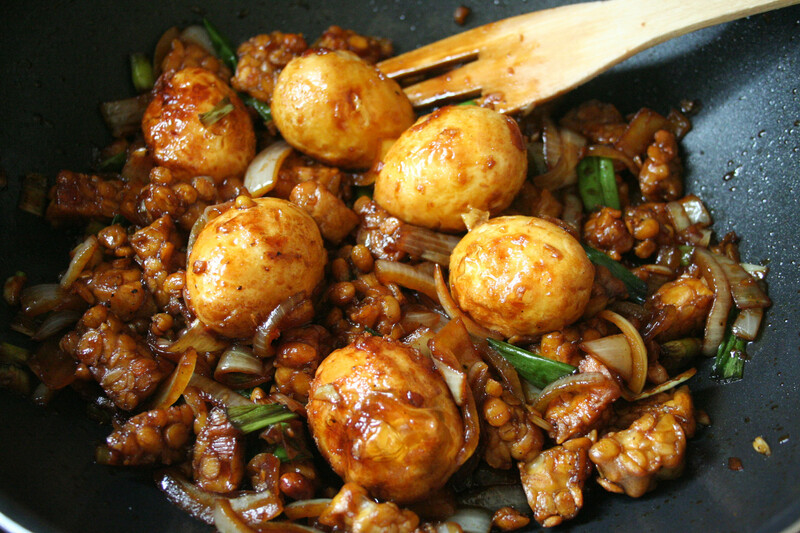 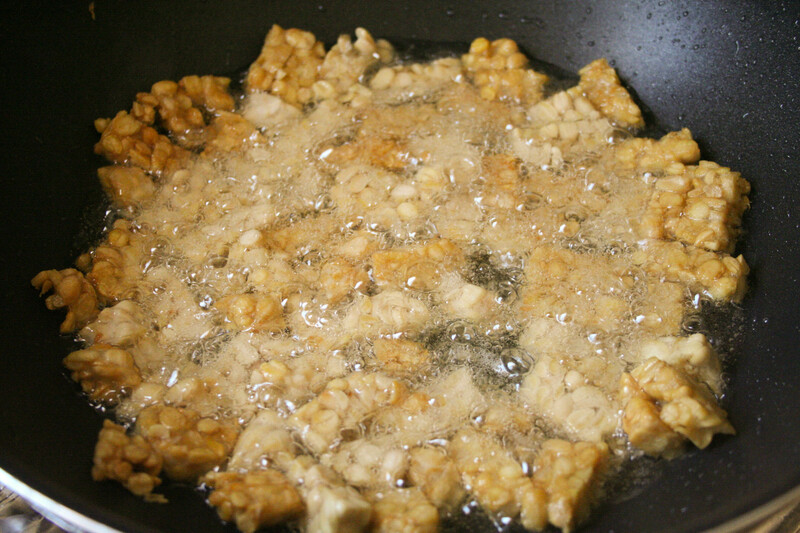 Now is the Tempeh recipe: Sweet Soya Sauce Tempeh – basic sauce is very traditional, additional vegetable is my style of cooking – put anything that I have in the fridge, lol! 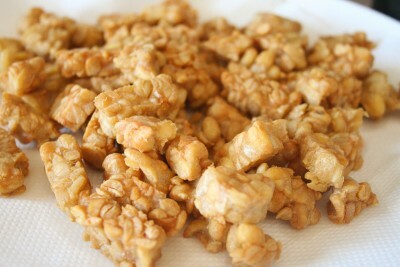 First of all, you need Tempeh, fresh or defrosted, cut in stripes or boxes, I love to cut it boxes as it’s looks cute 😀 Prepare oil to deep fried Tempeh until golden brown and not dry brown. Set aside and layer it with kitchen towel to absorb the unnecessary oil. 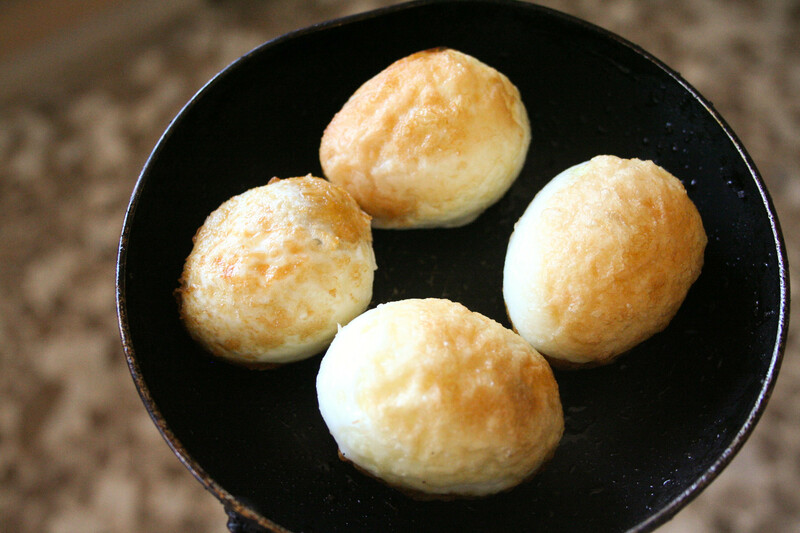 Next, if you like eggs, hard boiled them, peel but be careful not to crack them, deep fried until it creates texture. 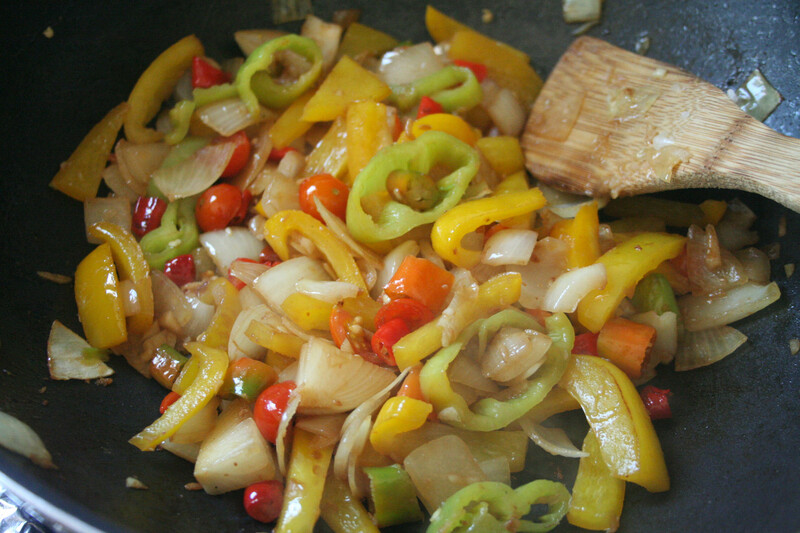 Now the fun starts 😀 In a wok, saute garlic, onion and fresh chili until fragrance about 1-2 minutes, add all the vegetables that you are using (if you use Lettuce, you need to add it when the food is 5 minutes to finish. 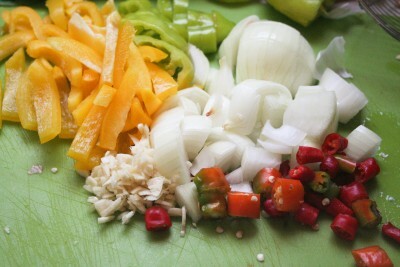 This way is to keep Lettuce to wilt), saute for couple of minutes according to your preference of cooking vegetable (I like it half done, as I love to have those crunchiness). 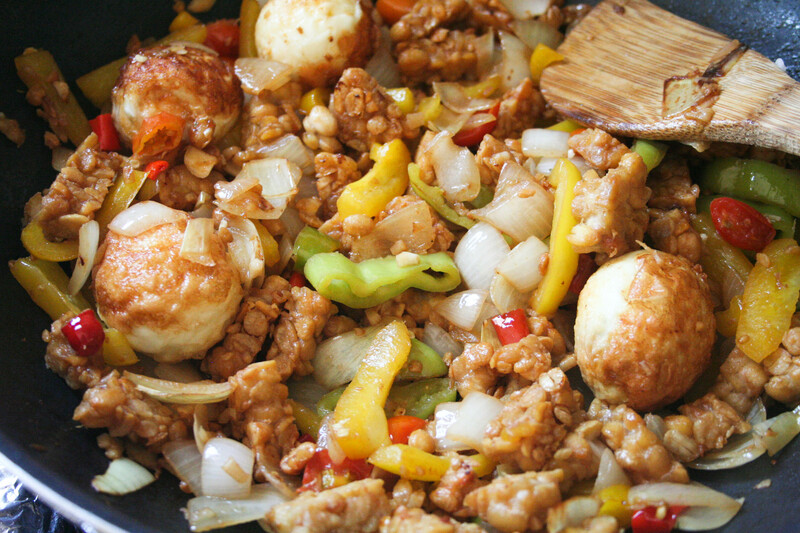 Then, add Tempeh and eggs, mixed it will for a minute, just to coat them with the vegetable taste.